Join us in celebrating International Women's Day at UC San Diego! 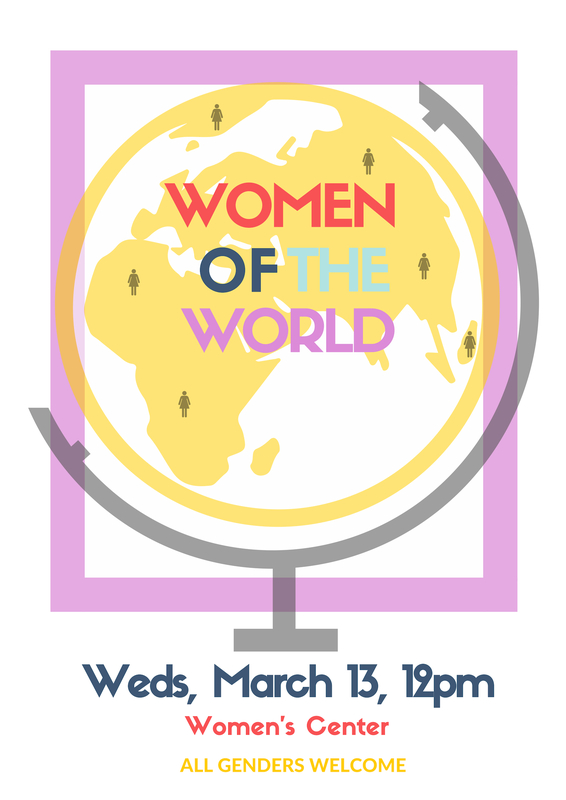 Celebrate International Women's Day by attending our Women of the World Panel on Wednesday, March 13th from 12-2p at the UC San Diego, Women's Center. Together let's #BalanceforBetter and Create Our Feminist Future! This program is designed to celebrate and bring awareness to the struggles, strengths and issues involving women of the world. Students from various countries will discuss their experiences as women in relation to education, traditional roles, family dynamics, employment, healthcare, etc. Interested in being a panelist? Click here for more information. Each year on March 8th, thousands of events are held throughout the world to inspire women and celebrate their achievements. A global web of rich and diverse local activity connects women from all around the world ranging from political rallies, business conferences, government activities and networking events to local women's craft markets, theatrical performances, fashion parades and more. See what's happening this year in celebration of IWD. Check out our calendar for events leading up to International Women's Day 2019. Together let's #BalanceforBetter and Imagine Feminist Futures!